Messing around with time is hardly anything new in video games. It’s done all the time in The Legend of Zelda, and the modern Prince of Persia franchise also did it pretty well. Quantum Break handles time-bending in a different and interesting way, but unneeded and awkward features bog down the experience. The game puts players in the shoes of Jack Joyce, who returns home after being notified by his brother’s business partner, Paul Serene, that help is needed for a “life changing” project. It turns out that this project is actually a time machine, and after Paul puts it to use, all hell breaks loose and he gets lost in time. In the midst of everything, Jack then finds out he has time-bending powers. 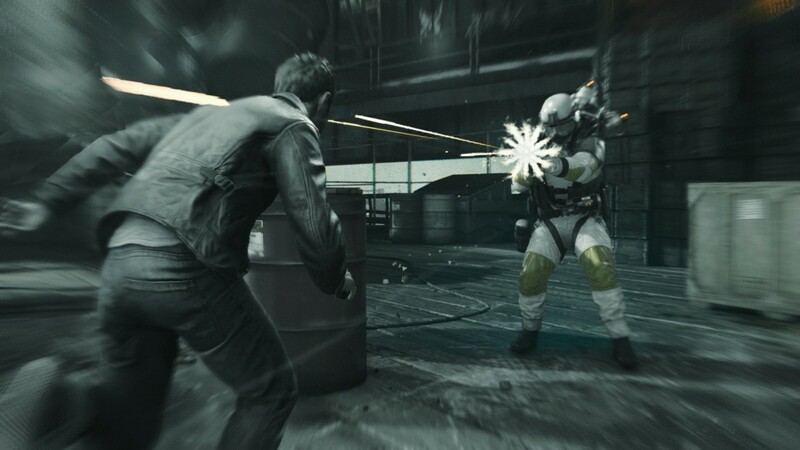 Quantum Break also sort of doubles as a television show, featuring live-action sequences that occur in between each of the game’s five “acts” that are meant to give the game a more realistic and entertaining feel. These live-action sequences are streamable when connected to Xbox Live, but if you’re not, you can download them in an optional update pack. The problem is the optional download takes up over 70 gigs of space, which is already 15 percent of the Xbox One’s default hard drive. While the game does its best to be an action drama in the vain of hit TV shows like FOX’s 24 or NBC’s Blindspot, it falls flat in its attempt to achieve the same intensity. The acting isn’t bad and the quality production values are there, but the ensemble doesn’t really do anything memorable. Despite the game’s somewhat engaging story, I felt absolutely nothing in regards to the characters. Jack Joyce (played by Shawn Ashmore) is just your average guy who can do it all, and the main antagonist Paul Serene (Aidan Gillen) is just your typical flawed bad guy who thinks the ends justify the means of his actions. Being completely honest here, some parts were quite laughable because I was envisioning X-Men‘s Iceman trying to fight Game of Thrones‘ Petyr Baelish, mainly because those are the roles these actors are best known for. 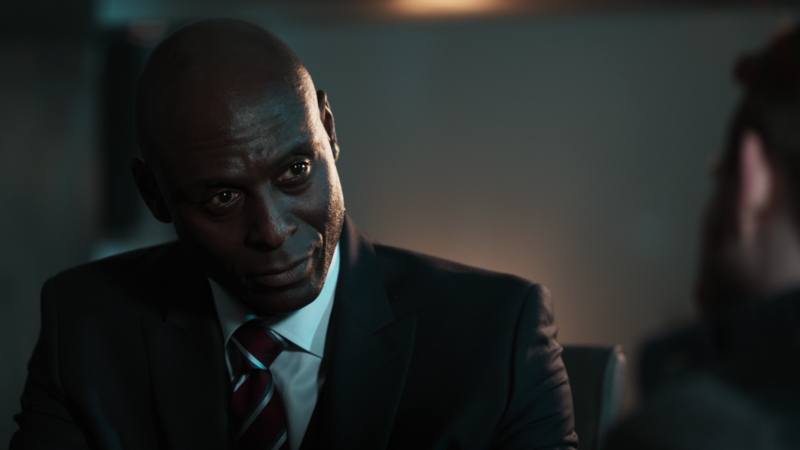 Lance Reddick (The Wire, Fringe) did a heck of a job playing Martin Hatch in Quantum Break‘s live action “show” scenes… Too bad his character was hardly anybody important. All that aside, Quantum Break‘s redeeming factor is in the stints of gameplay the game has, especially in its gunplay. Combat feels like a mix of Uncharted and Tomb Raider with some Dishonored thrown in, thanks to Joyce’s time and space-bending powers. At its core, the game is a third-person cover shooter. You’ll spend the majority of time in combat hiding and looking for the best shot, but because enemies will easily shoot out your cover, you’ll be forced to use your powers to put you in the best position. As you keep playing, your abilities increase. It starts off with a simple dash mechanic tied to the left bumper, which you can use to sort of warp in front of enemies or behind other means of cover. You’ll eventually have a time shield that deflects bullets, an offensive time blast ability that you can use if you run out of ammo or to reverse the direction of bullets, as well as the ability to just stop time temporarily to retreat or give yourself a better shooting angle. Combat in the game is just a whole lot of fun, with the only problem being that there’s no real melee buttons, so you can’t just dash into an enemy to stab or punch the crap out of him—but that might be too easy. There’s hardly any actual stealth in the game either, as all the action sequences require you to kill everybody in sight. Considering the themes of time travel, it’s pretty alarming that this ended up being the case. That said, the gunplay does take a little getting used to. There’ll be a lot of dying in Quantum Break, and while that’s expected, what’s unfortunate are the long loading times between dying and getting back into the action. There were times where it felt like the game’s checkpoints weren’t put in the right areas. For example, I’d die, get back to a part probably two minutes before the point where I died, but I’d have to wait for the loading sequence and then watch a cutscene before gaining control again. What’s worse is that after you skip a cutscene, you’re brought back to another loading screen. I’ve never experienced loading screens this annoying since the PS2 era, so that’s definitely worth mentioning as these problems are even more frustrating considering the budget that went into this release. When you’re not shooting at enemies or watching 20-minute videos, the action really takes a step back in favor of exploring various environments to get a better idea of what’s actually happening in the story. Exploration is linear. You’re either following another character, or going through various hallways examining projects or reading e-mails—but let’s be honest here, unless you’re really into the series lore, you’re not really reading about everything you’re finding. The game tracks all the things you’re examining, so it’s just sort of a fetch quest to get achievements or satisfy the efforts of completionists. 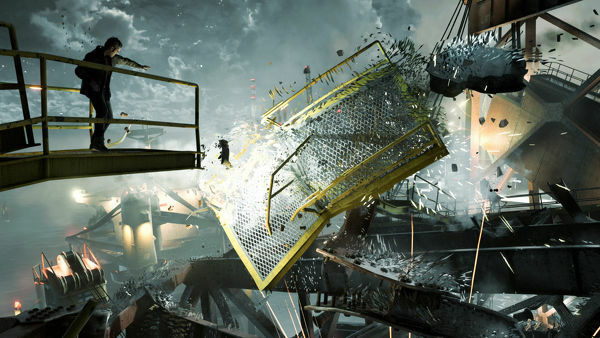 Awesome wreckage scenes such as these could’ve really set up some awesome platforming and puzzle-solving sequences. Unfortunately, they were all dull and seemed uninspired. There’s also some light puzzle-solving and platforming, but it all really takes a back seat to the game’s action sequences, which is unfortunate because there’s a whole lot of potential in this aspect of gameplay. The platforming in particular feels blocky and unintuitive when compared to that of Uncharted or Tomb Raider, while the puzzle-solving could’ve been a little more involved. Even the simple puzzles that we had to solve in Life is Strange were better than those in Quantum Break, which all just turned out to be temporary quick fixes to the environment. 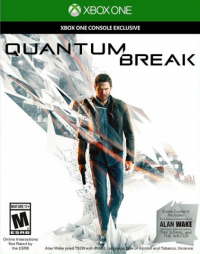 Above all things, Quantum Break has no shortages in its production value. The game looks absolutely beautiful, and the live-action sequences are both well-directed and acted. That’s not where the game’s problems lie. The lack of any memorable or inspiring characters brings its otherwise solid plot down, and the loading times are probably the longest you’d experience playing any game this console generation.